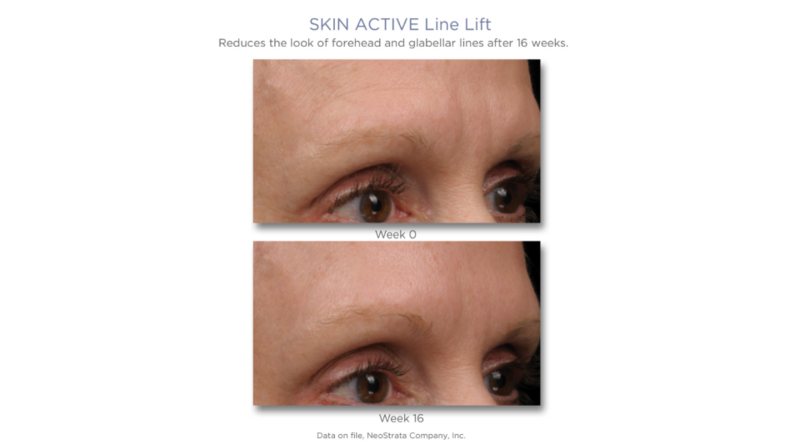 NeoStrata Skin Active Line Lift features a breakthrough formula to actively target and reduce the visible signs of aging. Its innovative SynerG system is designed to diminish the size and depth of deep lines and wrinkles with revitalizing Aminofil complex. Arginine and cellular peptides volumize the deep skin matrix to encourage collagen and elastin product while lavender extract soothes irritation. 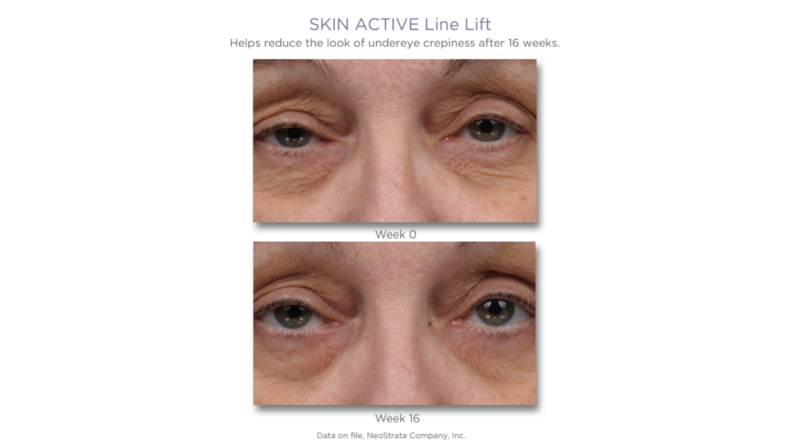 This innovative SynerG System is a two-step treatment specifically targeting deep wrinkles and lines that do not respond to an antiaging skincare regimen alone. 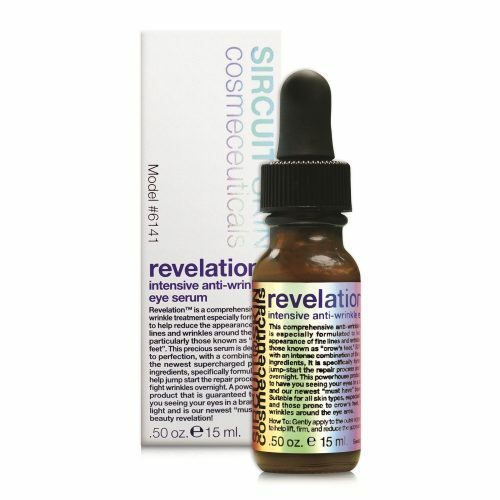 Formulated with revolutionary Aminofil® technology to help build skin’s natural volume and visibly reduce the appearance of deep lines and wrinkles (such as scowl lines, furrows, crow’s feet and smile lines) resulting from UV induced photodamage and repetitive facial expressions. The precision roller ball allows easy application directly to deep expression lines and helps massage the potent formula into skin. This hydragel activator contains Aminofil®, a patented, breakthrough ingredient proven to volumize the skin and help activate skin’s natural fillers: collagen and hyaluronic acid*. 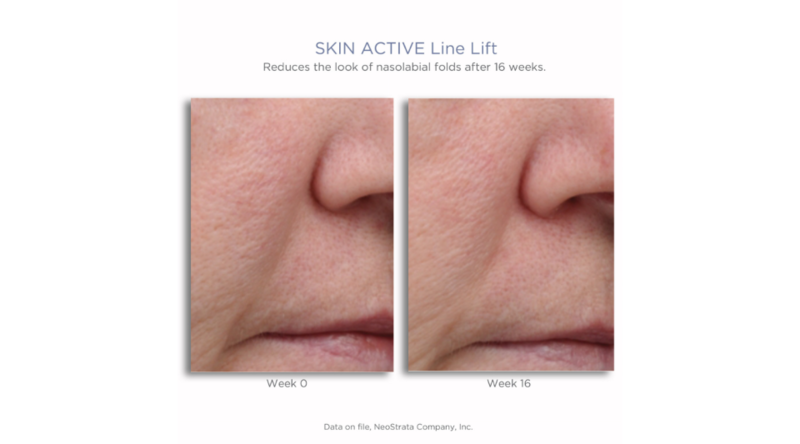 In a clinical study using this innovative system, respondents achieved visible reductions in scowl lines, nasolabial folds and crow’s feet. Layer this emollient Finishing Complex over Step 1 to seal in the Aminofil® Activator. The benefit actives in Step 2, including Peptides, work together with Step 1 for optimal lifting and firming. 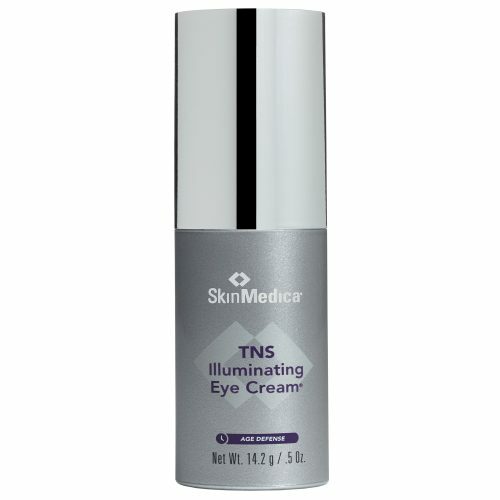 Step 2 contains NeoGlucosamine®, a building block of hyaluronic acid, the natural plumper found in skin. 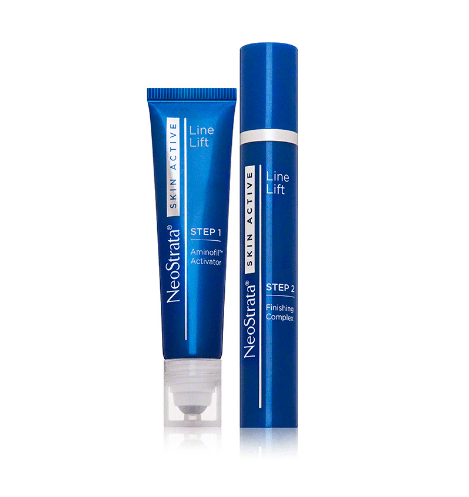 Step 2 also contains NeoCitriate® a benefit ingredient proven to increase skin thickness and help enhance collagen*. As a result, deep expression lines appear filled and lifted for a refreshed, younger appearance. Featuring patented, breakthrough Aminofil®, this innovative SynerG System is a two-step treatment formulated to target deep wrinkles and lines that do not respond to an antiaging skincare regimen alone. STEP 1: Aqua (Water), Butylene Glycol, PEG-8, Dimethyl Isosorbide, Polysorbate 80, Acetyl Tyrosinamide, Arginine, Acetyl Hydroxyproline, Glycolic Acid, Hydroxyethylcellulose, Lavandula Angustifolia (Lavender) Oil, Caprylyl Glycol, Polysorbate 20, Methyldihydrojasmonate, Ethylene Brassylate, Phenoxyethanol, Chlorphenesin. STEP 2: Aqua (Water), Dimethicone, Cyclopentasiloxane, Glycerin, Polysilicone-11, Acetyl Glucosamine, Triethyl Citrate, Hydrogenated Palm Kernel Glycerides, Silica, Nylon-12, Palmitoyl Tetrapeptide-7, Palmitoyl Oligopeptide, Dimethiconol, PEG-10 Dimethicone, Butylene Glycol, Citric Acid, Hydroxyethyl Acrylate/Sodium Acryloyldimethyl Taurate Copolymer, Hydrogenated Palm Glycerides, Isohexadecane, Caprylyl Glycol, Mmonium Polyacryloyldimethyl Taurate, Sorbitan Isostearate, Polysorbate 40, Polysorbate 60, Phenoxyethanol, Chlorphenesin. STEP 1: Squeeze tube lightly and apply directly to deep expression lines, such as crow's feet, brow lines, and around mouth, gently massaging with finger tip. Apply twice daily. STEP 2: Apply over STEP 1 directly to deep expression lines such as crow's feet, brow lines and around mouth, gently massaging with finger tip. Apply twice daily.